The end of May was busy with birthdays (me, my dad and my daughter ) and this was my excuse to go crazy and try cupcakes and cakes that i've always wanted to try and of course I had a burnout and that's why I haven't posted in 2 weeks. I don't think I could bake for a living. I couldn't eat cake for a few days - ahh! 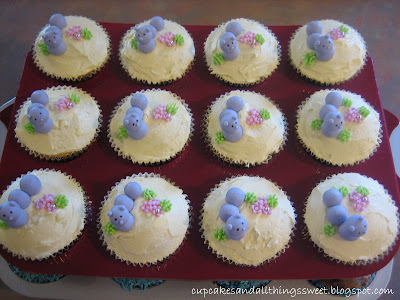 Lets get the ball rolling and start with the cupcakes I made for my daughter to take to school for her birthday. I thought of making just pretty caterpillar cupcakes but I just couldn't imagine the real boy boys in the class being overjoyed so I made some Cookie Monsters for the boys. Check-out the Cookie Monster on the bottom, second from the right. Don't know how I missed him but he makes me laugh. Hmm, looks like someone needs to brush up on their food colouring technique. I made the eyes out of about 4g of sugarpaste and used black food colouring but if you don't want to use sugarpaste, mint cool fruits would be a good substitute. 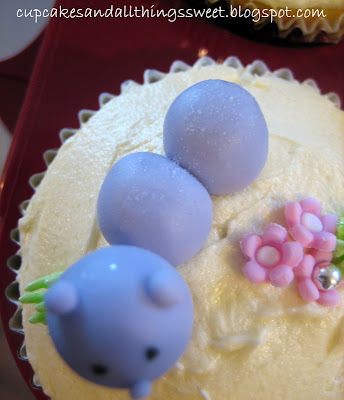 I have made caterpillar cupcakes before, they were fun and easy to make not to mention extremely cute so I thought the girls would love them. Those little tufts of grass were my husbands idea, and a pretty good one at that. I thought I'd try something new and put some shimmer powder down their packs but unfortunetly it didn't really work out. Well, the cupcakes went down a treat with the kids, i'm glad they enjoyed them, althought my husband was extremly (and i mean extremly) upset to hear the kids enjoyed them. He thought I had made them for our daughters family birthday party we were having the following day, he was looking forward to eating the Cookie Monsters. 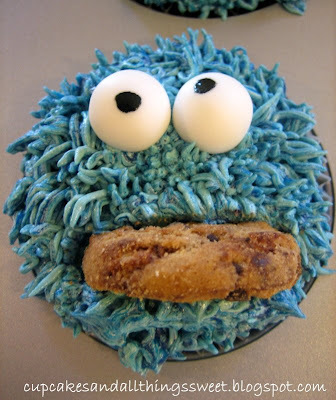 I LOVE cookie monster and know that he would just love being immortalised in cake like this. You've made a fab job of these! LOL.. my girls are LOVING the cookie monster ones!! I tell you they are not real girly hey!! 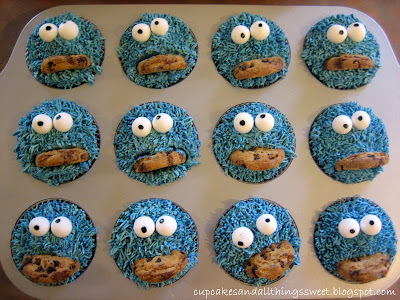 They look just like cookie monster.. you did so well!!! 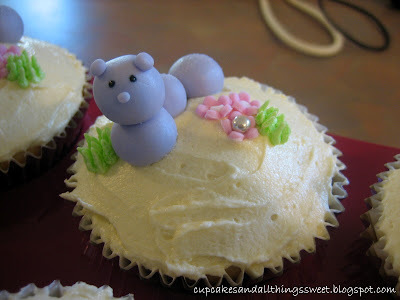 do you use a piping bag for the fur??? I dont think I could do those.. get RSI in the wrists!! maybe dyed coconut for us lazy people?? or just plain blue icing??? 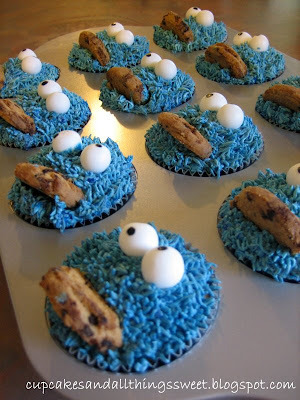 oh and I googled cookie monster cupcakes and yours are tonnes better than the other ones out there.. you should be proud!! Nice how you made Cookie monster! It's perfect. Kids would surely having fun if you serve this to them.